Pensacola State’s SkillsUSA chapter has received yet another accolade – this one being a monetary award. Lowe’s presented the chapter, a 2016 SkillsUSA National Models of Excellence Recipient, with a $2,000 grant on Thursday. 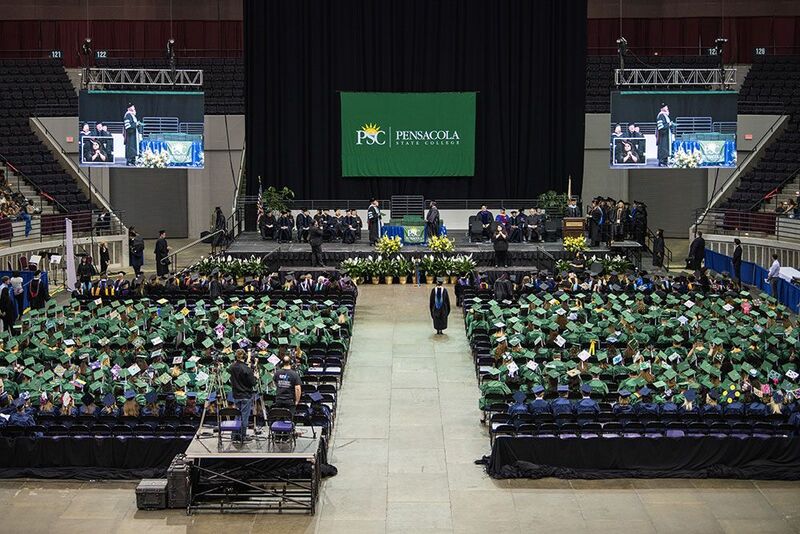 Pensacola State’s SkillsUSA chapter was one of only two community colleges in the nation to receive the Models of Excellence Award during the national conference held this summer in Louisville. The award – the highest level of the SkillsUSA Chapter Excellence Program – included the $2,000 grant. “This is our way of helping to train the next generation of tradespeople,” said Thomas Kopriva, manager of the Lowe’s on Airport Boulevard. 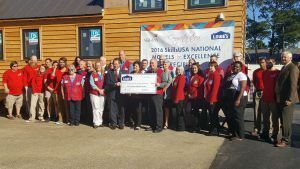 The funds will be used to help complete Pensacola State’s Tiny House project, and expand the SkillsUSA program and assist with other projects, said Jennifer Ponson, the college’s coordinator of student and program outreach. Pensacola State President Ed Meadows thanked Lowe’s for the grant. He also echoed Kopriva’s statement about the growing need for tradespeople. Rebecca MillaPedrozo, a SkillsUSA member enrolled in the carpentry program, is one of those students who plans to enter the workforce after fall semester graduation. “I’m so glad that Lowe’s donated this money to us. We’ll be able to use these funds to add some nice finishes to our Tiny House,” said MillaPedrozo, a former U.S. Army service member who plans to go into residential construction.